By Inunonse Ngwenya from the YWCA of Zambia. Inunonse recently attended the Global Youth Forum in Bali, Indonesia and shares her thoughts on what meaningful development looks like. – If you are thinking one hundred years ahead educate the people. Convinced that real and lasting change begins with the grassroots and that young people especially girls and young women including those living with disabilities, hold a key to a nation’s bright future, I strongly believe that in every country there is work to be done and in every community there are wounds to heal. It remains for all of us as leaders to unleash our potential to significantly contribute to this global undertaking even with our seemingly unappreciated efforts at local level. In every woman there is great potential to excel in life. Womanhood is a phase where young girls cross over to become adults and responsible citizens of society. There are so many young women that have always desired to be a lawyer, doctor, nurse, engineer or teacher we can name them. But do they get the same chance to achieve their ambition or once given the opportunity do they fully exploit such opportunity to realise their dreams? Action will take place in a vacuum, and the first stage in any sustainable development process must be to raise awareness of local – global causes and to show people concrete, practical and meaningful ways to make changes in their own lives which benefits the wider environment. Development will not be sustainable unless it originates from the concept of local development based on efforts of the local population who respect priorities that they themselves define. One of the first objectives of sustainability development planning is to establish a common vision of the future of the community, without this vision the action planning process would lack a clear picture of the community and society’s priorities and satisfying their needs be very hit and miss affair. Clearly, this vision is only valuable if it represents the views of a cross – section of the community, and as such it will be necessary to involve an element of compromise. This is because the diverse mix of people in any community brings great diversity in traditions, priorities and concerns. However it is not just the diversity of community interest that makes achieving a common vision a complex process. The vision must also balance the interest of business, of ecosystems, and of human societies – the familiar balancing act between three dimensions of sustainability: the economic environmental and social dimensions. Hence one of the first challenges for sustainable development planning is to represent these diverse priorities while also creating a consensus from which action can take place. 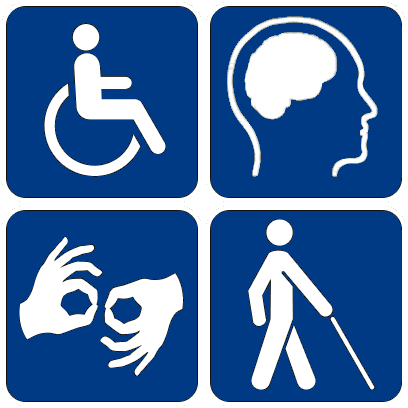 Participation: Presence of people with living with disability in decision making processes including governance structures at sub-national level. Voice: Just their presence in decision making processes and structures is not enough but let their concerns be head through their voices. 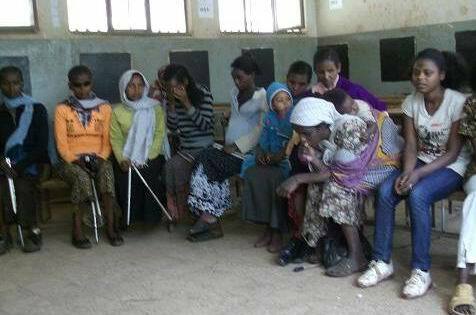 Access: People living with disability lack information on development in their every day life but in order for them to claim what is due to them they need to have access to information that can better and improve their lives.